The Aussie-voiced snake is mainly a "player killer" character, with his ability to cloak, poison foes, and throw down a smoke bomb to get out of hairy situations. I'm sure that some of those abilities will be beneficial in taking down larger enemies in the PvE mode, though. 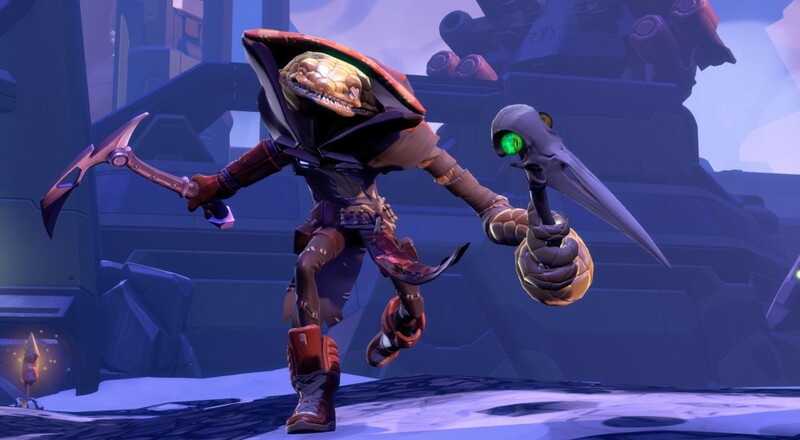 If Pendles isn't your thing, then the next character for Battleborn may be more your style. 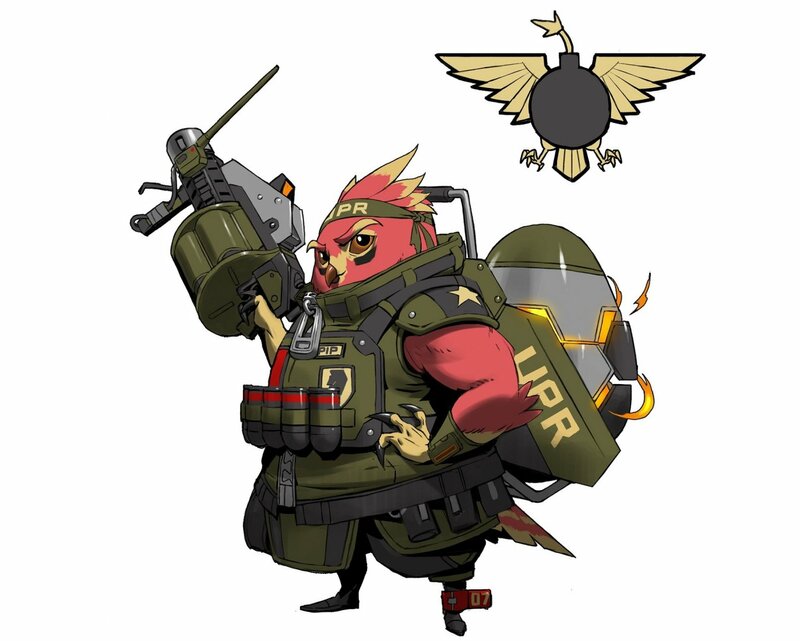 Meet Ernest, a demolitions expert that bears a vague resemblance to some other fowl we know. Wielding a grenade launcher, Ernest "is a defensive mastermind with a strong devotion to protecting his allies." No release date was given for this avian protagonist, but it will likely be mid-Fall.